How to Delete Photos from iCloud Storage - iMobie Inc.
Want to delete photos from iCloud storage to free up more space? Read this guide to get 3 methods of deleting photos from iCloud storage. Apple’s iCloud storage service can be used to save data to iCloud, for example, photos, videos, backups and so on. You could purchase it for additional storage plan, but you may find that you’ll run up the storage sooner than you think. Photos always take up space, let alone a large number of unwanted photos. Hence, it’s a good idea to free up wasted space by deleting some photos from iCloud storage. Before discussing how to remove photos from iCloud storage, you need to know that iCloud Photo Library uses iCloud storage, but Photo Stream will bot occupy your iCloud storage. 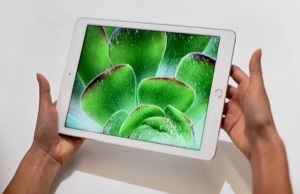 Thus, you can delete photos from iCloud Photo Library to free up iCloud storage. 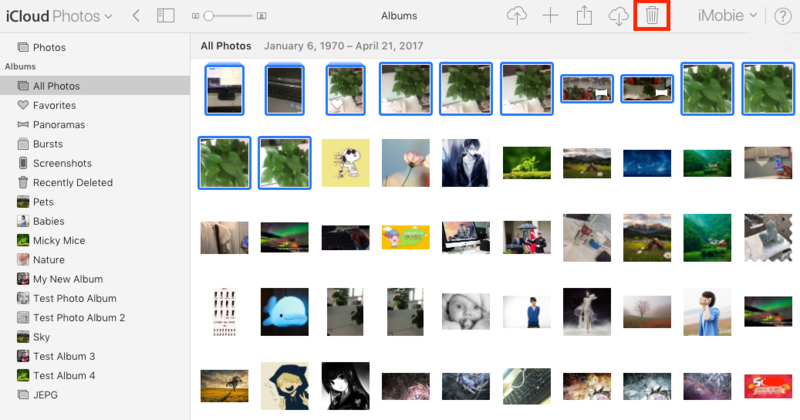 When deleting photos from iCloud storage, there are ways to make it. 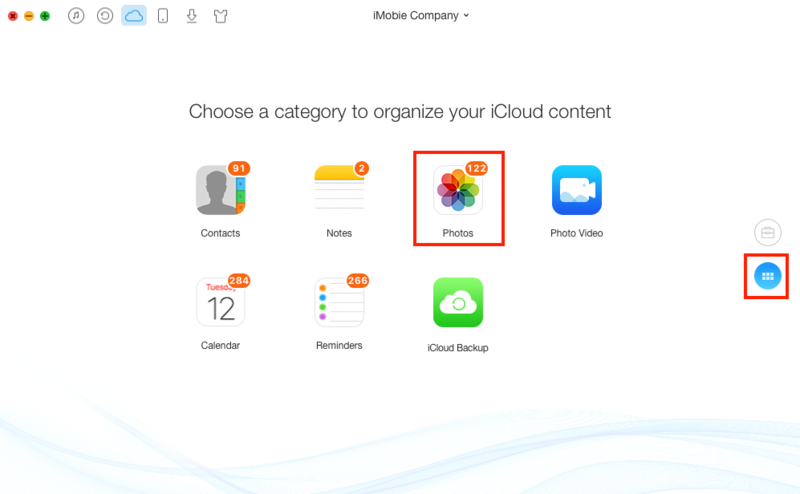 In this article, we introduce 3 simple methods to help you delete photos from iCloud storage. You can delete photos from iCloud Storage with the aid of a practical iOS data management tool named AnyTrans for iOS, which can help you easily access and delete photos on iCloud in a short time. With AnyTrans, you can access your photos stored in iCloud, and quickly delete multiple even all photos from iCloud. Now, follow the steps below to delete photos from iCloud storage with AnyTrans. Step 1. Free Download and install AnyTrans > open it and then click iCloud Content > Sign in your iCloud account. Step 2. Scroll down, click on Photos. Step 3. Select unwanted photos > Click Delete. Note: You can use AnyTrans to download iCloud photos to the computer to make a backup before deleting. You can also delete photos from iCloud storage on iCloud.com, but this method is only suitable for selecting photos one by one before clicking delete icon. If you prefer to delete all photos at once, we suggest adopting the Method 1. Step 1. 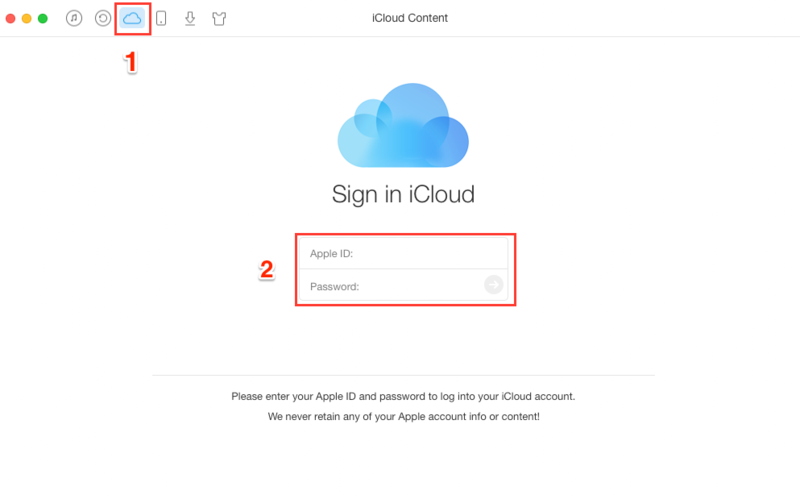 Open any browser on your computer > Go to iCloud.com > Sign in your iCloud account with Apple ID and password. Step 3. 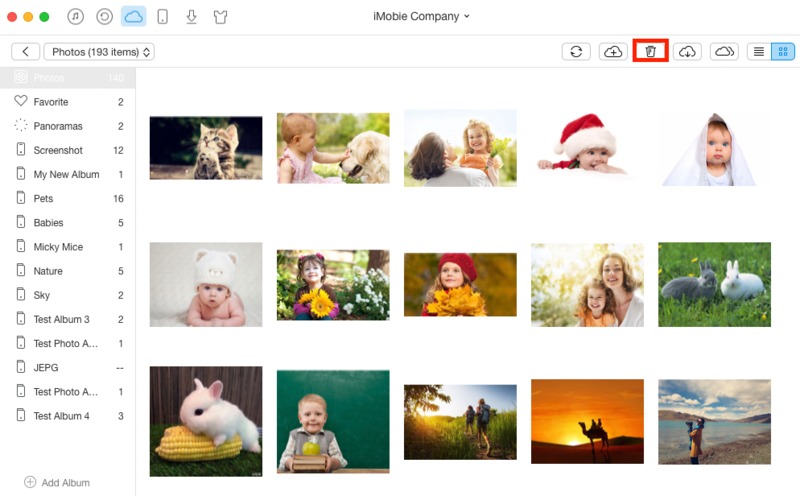 With pressing Command on Mac or Ctrl on PC to select photos one by one, then click Delete icon at the top right. You can use the methods mentioned above to delete photos from iCloud storage; also, you can make it by deleting photos from an iCloud backup. First of all, you need to delete the old backups that containing photos, and then make a new backup without photos to realize the purpose of deleting photos from iCloud storage. In view of that, now let’s see how to make it. Step 1. Open your iPhone or iPad, tap on Settings > Tap on Apple ID > iCloud > iCloud Storage > Manage Storage. Step 2. Tap the name of your iOS device > Tap Delete Backup > Turn Off & Delete. Step 3. Head back to Storage > Turn off Photo Library, then tap iCloud Backup > Turn on iCloud Backup, then tap Backup now. When using this method, please consider clearly because photos from your previous backup will gone forever. So, we suggest you downloading iCloud photos to computer to make a backup with AnyTrans firstly.